Vanessa Collier is a fresh face on the American blues scene, and in addition to her soulful vocals she brings a mighty sax to the table. I am not the only one that thinks so, as Vanessa was nominated for the best horn instrumentalist at the 2017 BMAs, putting her in the same club as Al Basile, Nancy Wright Sax Gordon, and Terry Hanck. Also, her latest release, Meeting My Shadow, is making the rounds and it is a solid collection of original blues that serves to make the genre a bit more interesting. Ms. Collier is based out of Philadelphia, and her background is as impressive as her music. Vanessa is a graduate of Boston’s prestigious Berklee College of Music, and she brought her vocals and sax to tours with Joe Louis Walker’s band. Also, Collier’s 2014 debut album, Heart Soul & Saxophone, was highly praised on Dan Aykroyd’s blues radio show, and she was honored as the Best of 2014 Blues Breaker Artist on House of Blues Radio. It would seem that her schedule is pretty full, but Vanessa also finds time to run her own teaching studio, volunteer at schools, judge solo and ensemble festivals, and offer clinics all over the country. Meeting My Shadow is Collier’s sophomore album, which was recorded in six days at Music + Arts Studio in Memphis, Tennessee; it was produced by Vanessa, Kevin Houston, and Thomas Ruf (of Ruf Records fame). She was joined in the studio by Daniel McKee on bass, Ty Jackson on drums, Charles Hodges on keys, Marc Franklin on trumpet and flugelhorn, and the blues giant, Laura Chavez, on guitar. This is a stellar line-up, and on this project, they demonstrate a palpable synergy that is infectious. Eight of the eleven tracks are originals that were written by Vanessa, including the opener, “Poisoned the Well.” This song shows what a well-rounded musician Collier is, and she provides the vocals, flute, Rhodes piano, Wurlitzer, and clavinet. This funky blues rocker features smoky vocals with jazz influences in the phrasing, and a really neat orchestration that includes haunting flute parts. It must have been hard for her to set the sax aside at the beginning of the set, but hey - when was the last time you heard flute in a blues song? This is backed up by a little more funk with “Dig a Little Deeper” with its sassy vocals and 1970s vibe. We finally get to hear the sax here and Vanessa’s tone is amazing, as is her interplay with the clean horn style of Mr. Franklin. The rest of the originals cover a wide range of the blues-based genres, and it is all tasteful and well written. “When it Don’t Come Easy” has a cool electric delta blues vibe thanks to Chavez, and one of the best phrases ever: “I’ve been sanding down my splintered heart.” The band also goes old school with the vintage rock and roll of “Whiskey and Women,” which includes hearty vocals from Vanessa and the healthy backline of Jackson and McKee. And the closer, “Devil’s on the Downslide,” has a sweet gospel feel that features Collier on the Wurlitzer organ. There are also a handful of covers on Meeting My Shadow, including Rosetta Tharpe’s “Up Above My Head, I Hear Music in the Air,” which has a gospel call and response with ladies, killer piano, a hyper snare drum, a sweet chicken-pickin’ guitar solo, and a killer sax solo. There is also the unexpected inclusion of U2 and B.B King’s “When Love Comes to Town” from 1988’s Rattle and Hum. This version is slower than the original, which gives it a different feel, but it still rocks. Vanessa has an interesting character to her voice here and this complexity is compelling, which is helpful as this song is not presented as a duet this time. Also, Laura Chavez tears off an amazingly raunchy guitar solo that fits in perfectly. 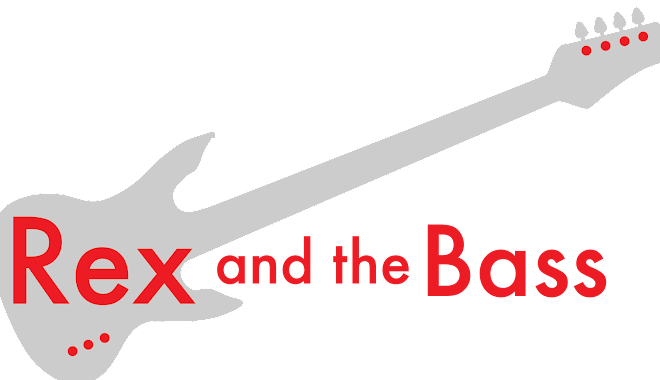 It is hard to outdo the original, but this version comes really close. 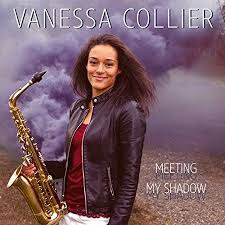 Vanessa Collier and her crew did a wonderful job with Meeting My Shadow, and the result is an entertaining 45-minute set of original blues with a fresh sound. Regardless of what you think the blues should sound like, there is plenty to like here so you should take the time and give it a listen. Also, Collier has plenty of bookings coming up, with many North American tour dates from Florida to Maine to Canada, and everywhere west, as well as some shows in Europe. So, be sure to hit up her website for dates near you as Vanessa is an important part of the future of blue, and it would cool to support her journey.